_Bernard Hepton_ (1925-2018), UK actor whose credits include _The Plague Dogs_ (1982) and _The Woman in Black_ (1989), died in 27 July aged 92. 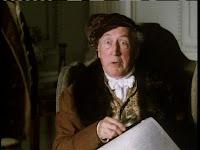 ....He was Krook in the Diana Rigg 1980s miniseries of Dickens's Bleak House, in before that played the role of Toby Esterhase in the Guinness miniseries of Tinker, Tailor, Soldier, Spy. He was the fussy Mr. Woodhouse in an adaptation of Jane Austen's Emma. He was always great fun to watch. He certainly seems to have enjoyed acting. I don't follow actors and acting much, but my family and I enjoyed watching and listening to Barnard Hepton. Strangely, neither of the notices I've seen/heard about his death mention the role I'm sure many people of a certain age most remember him for: Albert Foiret in the long-running BBC series Secret Army. Perhaps because 'Allo, 'Allo was such a successful parody it rather belittles the original? I actually don't recall The Secret Army, but I do remember him from Colditz (though I remember Anthony Valentine rather more...) and vaguely from The Six Wives... and Elizabeth R (all before your time, HB!). We re-watched TTSS and Smiley's People last year and he was brilliant in both. He was great in the Smiley programmes: prim and deeply sleazy at the same time. I vaguely remember him having the lead role in a sitcom in the 1980s, perhaps about a civil servant, but I might be confusing Smiley with Yes Minister there. Nope, no recognition at all. Very clever, though I thought the roads were going to end at a camp, not the village. The music didn't do much for me, though. You mean "efficient use of tiny budget". The music didn't do much for me, though. You have no soul. Or you weren't a small boy in the 1970s, whichever. Oh, no. I missed this last week. We watched Secret Army a couple of years ago. 'Allo 'Allo! does cause a few problems, but it's really very good. What a lovely actor he was. 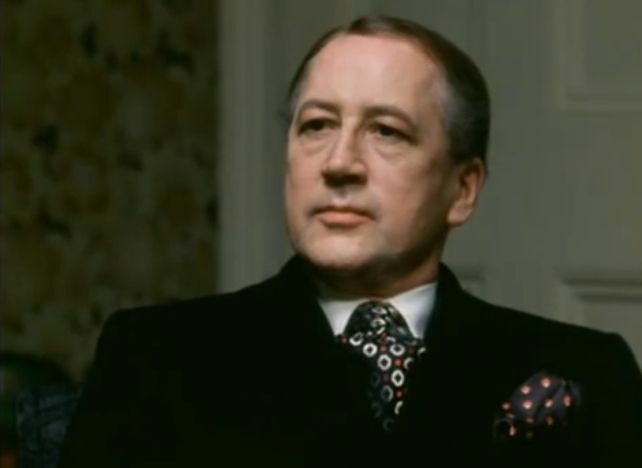 For me, Toby Esterhase in Tinker, Tailor, Soldier, Spy will be the enduring memory.